Social Baby | Hello You! 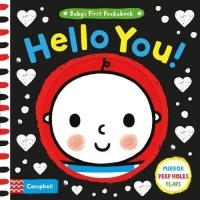 Hello You is ideal for parents to share with their babies as they develop and grow during their first year. Say hello to familiar faces (mummy, daddy, granny and grandad), play peekaboo with the peep through holes and enjoy a fun guessing game. 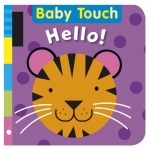 Babies and toddlers will love this interactive touch-and-feel book from the best-selling Ladybird.